I’m not at all sporty, is sports massage or deep tissue massage for me? YES! Most probably. Unless you suffer from a condition that contraindicates you from sports massage, deep tissue massage or any other massage techniques. Whether it is through sport, work or the effects of everyday living, our muscles, tendons, ligaments and fascial tissue are constantly being overloaded and damaged and thus we seek pain relief for our muscle pain and sports injury. The Sports Massage and Deep Tissue techniques described can be used as an effective treatment to both eradicate and aid recovery following injury and dysfunction and therefore offer such pain relief of shoulder pain, neck pain, back pain etc. People from all walks of life receive sports massage as a means to improve their flexibility, reduce stress, reduce or eliminate the symptoms of repetitive strain injury, muscle pain and improve their posture. 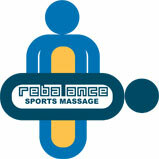 Here is a list of some of the professions who seek Sports Massage with Russ Cassidy at Rebalance Sports Massage Ltd: Office workers, Company directors, Teachers, House wives/husbands, Builders, Gardeners, Musicians, Careers, Yoga practitioners, Hoteliers, Accountants, Osteopaths, Physiotherapists, Chiropractors, Farmers, Air crew, Pilots, Artists, Barristers, Solicitors, Postmen, Firemen, Beauticians, Nurses, Mechanics, Engineers, Doctors, Chefs, Architects, Actors, and of course Sports men and women at both professional and recreational levels. During the treatment clients will be covered with a towel or towels in order to retain their modesty. It is therefore best to wear underclothes which allow easy access to the area of the body which is being worked upon. A ‘Y’ front style underpants or briefs is best as boxers are not stretchy and can be restrictive. Baggy shorts are also fine. A bra (rear fastening) and underpants / briefs are best. Swimming costumes and best lingerie are best avoided. It is likely that jewelry will need to be removed, especially necklaces and earrings. More importantly, whatever you wear you should feel comfortable and relaxed. During your 1st treatment a medical history will be taken and also details of the symptoms or sports injury you are presenting. This will be followed by a postural assessment to establish the extent and cause of your injury / symptoms. This will then lead into the actual treatment as described in the earlier text. During and at follow up treatments it may be necessary to reassess the symptoms to establish that improvement has occurred. All Sports Massage treatments generally last up to an hour. With regard to oils I use an emulsified base lotion which has no perfume and is extremely safe with all skin types. Clients are most welcome to provide their own oils / lotions should they prefer. Clients generally feel some post treatment soreness. This is expected and is usually considered a good sign that the treatment is having a positive effect. This may last a few days but is generally outweighed by the benefits of increased flexibility and reduced muscle pain. Clients also experience some levels of discomfort during the treatment. This is controlled with therapist / client communication and deep breathing techniques and is beneficial to the promotion of healing. NO. I currently have clients who range in age from 11 to 94. Anyone under the age of 18 will require a parent or guardian to be present throughout the duration of the treatment. Anyone is welcome to bring a chaperon with them if they so require. This very much depends on the circumstances and needs of the individual client. Some clients require weekly visits short term in order to recover quickly from a sports injury or chronic muscular disorder. Many clients, once an injury has been resolved / improved (where applicable) choose to follow a maintenance programme of sports massage. This is chosen on the basis of need and of course economics. I currently have clients who are on weekly, bi-weekly, monthly and quarterly programmes. You also need to decide if you are reactive or proactive. Have injuries treated as and when they occur. The down fall is that treatment times and recovery may be prolonged over a proactive approach. Regular maintenance reduces the risk of injury occurring. Recovery times reduced. One of the aims of Sports Massage is to help prevent muscular injury and dysfunction and so therefore should be used as a maintenance tool for us to perform both in our sporting and working environments. Regular Sports Massage and Remedial Bodywork will help maintain a good muscular condition, improve flexibility, reduce stress, minimise sports injury, reduce both acute and chronic pain and aid lymphatic drainage. A maintenance programme will help speed up the recovery process in the event of further injury, acute or chronic muscle, tendon, ligament and fascial injury. Where sporting events and fixtures are concerned pre, inter and post event treatments may prove beneficial in order to maximise your potential for that fun run, marathon or skiing holiday. To book your treatment session with Russ Cassidy, sports massage and deep tissue massage therapist, call Worthing on 07709 509713 or Steyning on 07709 509713, or book online. Alternatively you can send a message.